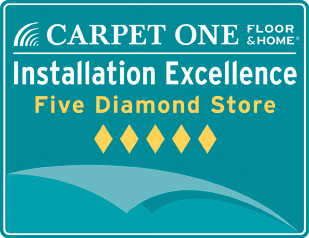 At Alexandria Carpet One Floor & Home, we carry	a wide variety of flooring. This includes a selection of beautiful natural stone flooring. Natural	stone flooring is versatile and has varying characteristics from how porous	they are to how much traction you have when walking on it. Every piece	of natural stone flooring is unique and adds character to your home. All of our installation and sales professionals are highly trained to provide	you with the best possible customer service. We are a 5-diamond rated	company based on the feedback of customers like yourself. We guarantee	that you will enjoy your new floor or it will be replaced at no cost. Give us a call today at (703) 370-0000 to learn more about our selection of natural stone flooring.